Origin: South Africa, Lesotho, Swaziland: damp areas, riverbanks. 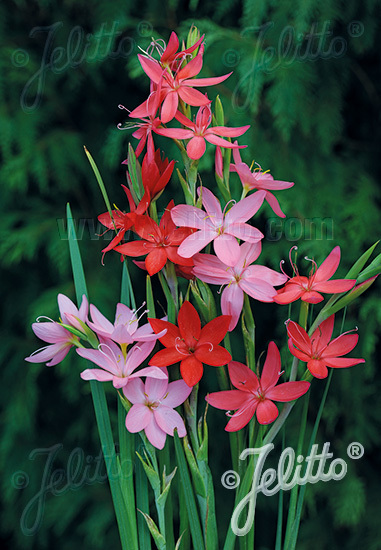 Special Features: Colors of the flowers are breathtaking brilliant pink to red. Persistend blooming until the frost. Abundant and long lasting flowering. Forms dense clumps. Keep substrate moist. Use for low maintenance plantings. Tolerates temporary inundation by water. Erosion control. Suitable for natural landscaping. Long blooming perennial. Easy to grow. Long living perennial.